Katie & John Heck would like you to see Support Sheriff Prummell Going Over The Edge for Drug Free Charlotte County! 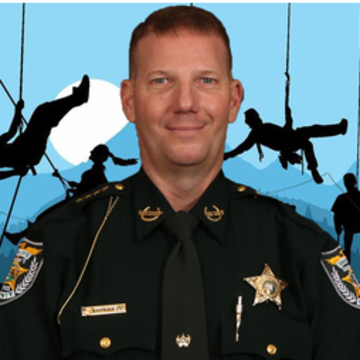 Support Sheriff Prummell Going Over The Edge for Drug Free Charlotte County! Sheriff Prummell hasn't added a story. The Sheriff's Office supports Drug Free Charlotte County's mission to engage and empower our community to prevent substance abuse, specifically in our youth. Passionate about prevention and recovery, the Sheriff launched his Drug Recovery Initiative Program in 2016, focusing on a fresh approach to the problems of drug addiction in our community. Strong partnerships between law enforcement and organizations such as Drug Free Charlotte County build and sustain a healthy community. Help Sheriff Prummell grow the important work of preventing substance abuse in our community. Our safe community is a team effort! I'm going to rappel down the SunTrust Bank Building, in exchange for donations back to the amazing local non-profit organization, Drug Free Charlotte County. Founded in 2002, after a Florida Youth Substance Abuse survey found that Charlotte County had one of the highest rates of underage alcohol use in the state, Drug Free Charlotte County (DFCC) is dedicated to the prevention of substance abuse. Through the work of our community volunteers and dedicated staff, we have made great strides in reducing substance use among teens. Now the majority do not use, and we want to keep moving this fact forward! Our success is due to strong and effective partnerships, and the dedication of our community volunteers and staff. Originally focused on sixth-twelfth grade, DFCC now addresses prevention from "cradle to aged". Your support of this event will help fund our newly launched efforts to address substance exposed newborns and prevent the misuse of prescription drugs, as well as our successful Parent and Youth activities, like "Friday Night Done RIght". And, we need your help to expand our work in the elementary schools and continue specialized programs for at-risk teens referred by DJJ, Civil Citation, Teen Court and the schools. For more information, contact the Drug Free Charlotte County office at 941.255.0808 x3205 or email prevention@drugfreecc.org. Sheriff Prummell hasn't posted any updates yet. Drug Free Charlotte County is managing the funds for this campaign. 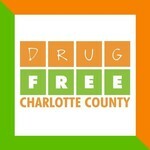 Drug Free Charlotte County is a verified organization.